Evergreen is home to an award-winning 44-bed acute care hospital, recognized for its commitment to quality of services offered and implementation of technology advancements made in the healthcare field. Evergreen Medical Center (EMC) is a for-profit, rural hospital that has been privately owned by the William G. McKenzie family since October 1977. EMC is currently a limited liability company under the direction of Gil McKenzie, owner and President of Gilliard Health Services, Inc.
EMC offers access to a full range of Inpatient and Outpatient Services including a Medical/Surgical Unit, 24-hour Emergency Care, Diagnostic Imaging, Evergreen Primary Care, Evergreen Home Care, EMC Hospice, Physical Therapy, EMC Health and Wellness, Surgical Services, Specialty Clinics and several other ancillary services. Evergreen Medical Center has received national recognition recently as Hospitals and Health Networks Magazine named EMC one of the Nation’s Most Wired Hospitals for 2 consecutive years, 2011 and 2012. Only 205 hospital or hospital systems nationwide receive the award each year. EMC received the award under the category Small and Rural. 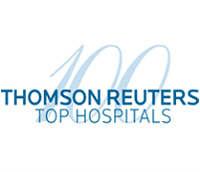 EMC has also been named one of the nation's 100 Top Hospitals® by Thomson Reuters, a leading provider of information and solutions to improve the cost and quality of healthcare. This award recognizes hospitals that have achieved excellence in clinical outcomes, patient safety, patient satisfaction, financial performance, and operational efficiency. EMC is committed to improving the health status of the community by partnering with businesses and schools in outreach efforts to keep employees and students healthy. They also operate EMC Health & Wellness, a family-oriented fitness center centrally located within the city. Learn more about Evergreen Medical Center at www.evergreenmedical.org.